The Stella Prize is presented for the best work of fiction or nonfiction by an Australian women published in the previous calendar year. The prize is named after Miles Franklin, whose first name was Stella, and was inspired by the Baileys Women’s Prize for Fiction. 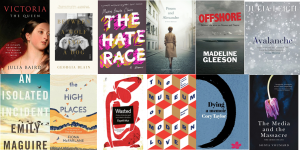 The longlist for the 2017 Stella Prize has been announced recently. The Media and the Massacre (Sonya Voumard, Transit Lounge). This entry was posted in Australian Authors, Awards & Prize Lists, Fiction, Non Fiction and tagged Australian Literary Awards, City of Parramatta Libraries, Stella Prize 2017 Longlist by admin. Bookmark the permalink.